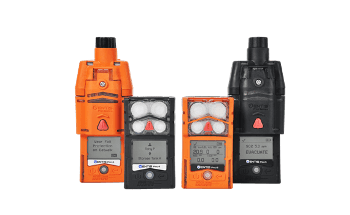 Field-ready Fourier transform infrared (FTIR) analyzers from Agilent Technologies are designed for the measurement of soil, minerals, and rocks. 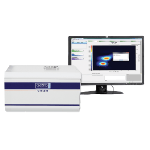 The integrated diffuse reflectance sampling interface in the analyzers allows the acquiring of molecular spectra with minimum or no sample preparation. 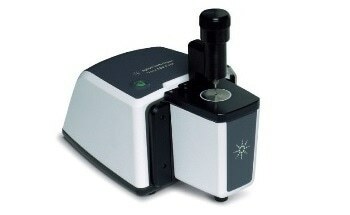 This means that the analyzers can be utilized directly on the samples in the field. X-ray fluorescence (XRF) field analyzers identify the elements present in the mineral, whereas FTIR analyzers reveal information about the bonding of elements to form the chemical composition of the mineral. 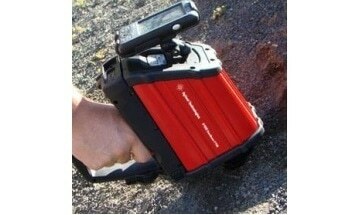 Therefore the combination of XRF and FTIR enables geoscientists to obtain comprehensive data about the sample or site. FTIR spectroscopy can analyze a range of minerals and rocks, as it provides data on covalently bonded molecules. Rocks and minerals often contain trace elements or impurities that are characteristic of a specific location or specimen. Therefore the ability of the users to create their own on-board library is useful to these field FTIR analyzers. Figure 1 depicts the spectra of many different mineral classes. The spectra acquired are unique and reflect the characteristic 'fingerprint' functional groups that are apparent in the spectra. Though diffuse refelectance IR spectra look different to traditional transmittance spectra, the spectra are reproducible. 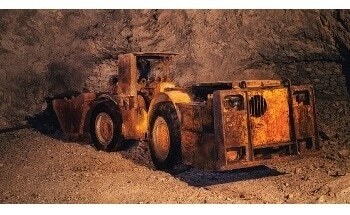 The use of the Agilent diffuse reflectance FTIR library of rocks and minerals enables accurate mineral identification. A set of over 1000 Canadian and worldwide minerals were analyzed using the Agilent 4100 ExoScan FTIR system (Figure 2). As examples, four white mineral samples present in the set had been revealed as calcite (calcium carbonate), barite (barium sulfate), celestite (strontium sulfate), and gypsum (calcium sulfate). The IR spectra of the samples in this set indicated that many were either mislabeled or relatively impure. Figure 3 shows that the spectrum of each of these specimens are a good match and clearly containing a strong band arising from a carbonate contribution. Conversely, Figure 4 depicts the spectrum of a reference barite sample, revealing the correct position of the sulfate vibration. Library identification revealed that all four specimens from the large set was predominately calcite. The composition of lignite coal was analyzed using the 4100 ExoScan FTIR system, which identified the water level present in the specimen, and also revealed the presence of kaolin clay (hydrous aluminum silicate) in samples from a specific location. This was a surprising result to the geologists who provided the samples (Figure 5). It is difficult to identify such contaminants using other techniques. In most cases, the FTIR spectrum of a sample can be a fingerprint for its identity and purity. The IR spectra also revealed the relative amounts of hydrocarbons and other organic substances. With high sensitivity to heavy metals, XRF is ideal for alloy identification. 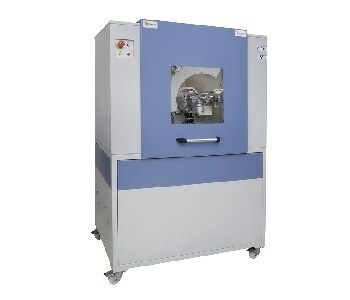 FTIR is sensitive to most metal carbonates and oxides, silicates and sulfates, but is insensitive to pure metals. Due to the presence of positive and negative absorbance bands in the spectra of rocks and minerals acquired without sample preparation, diffuse reflectance spectra of undiluted minerals appear different from absorbance spectra of the same minerals. Nevertheless, the spectra still provide data characteristic to covalent chemical bonds within the minerals. Devising either quantitative or library search techniques, based on the undiluted diffuse spectra, allows for obtaining the relevant information. In a laboratory analysis, these features would be reduced by grinding the specimen with dry potassium bromide powder. Another method involves the sanding of the specimen with silicon carbide paper, followed by direct measurement of the specimen on the silicon carbide paper. Figure 6 shows the results of the direct measurement of a calcite sample, as well as using the silicon carbide technique on the 4100 ExoScan FTIR. In both measurements, absorbance bands are observed at the same frequency, but the silicon carbide approach yields smaller intensity, all positive bands.